In March I attended the Tre Bicchieri tasting event in Los Angeles put on by Gambero Rosso. Gambero Rosso is a multimedia brand in the Italian food and wine world that includes: food guides, wine guides, books, a TV channel, a learning academy, and events around the world. The Tre Bicchieri tasting brings together all the highly rated wines that make it into their Vini d'Italia annual guide. The guide is now in its 30th edition. 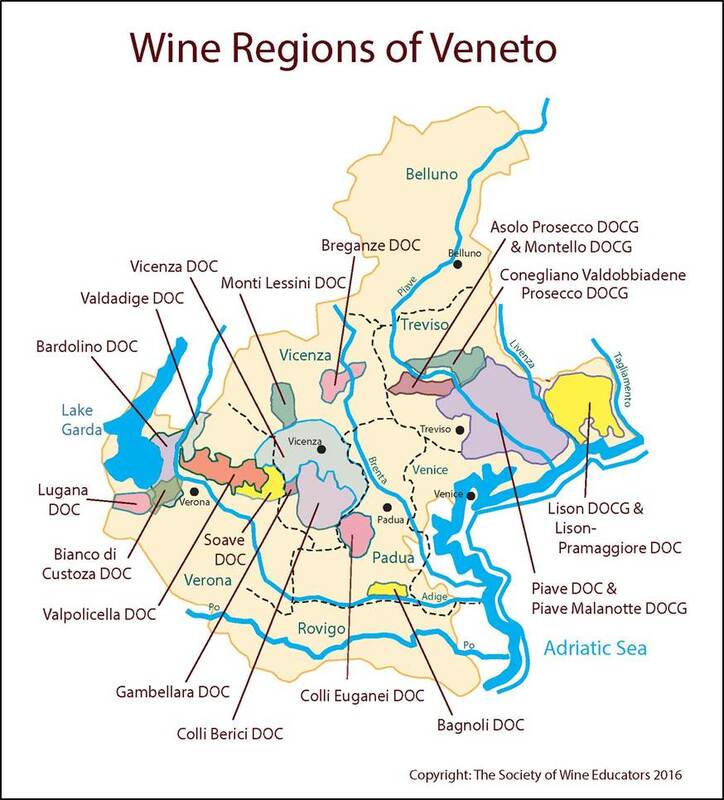 Over 45,000 wines are tasted annually by special committees involving over 70 people. 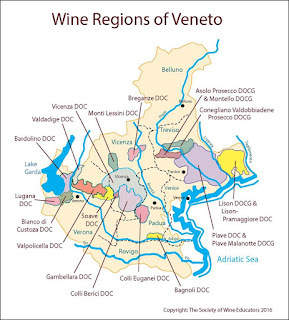 Wines that make the cut in the guide are rated one glass (Bicchieri), two glasses (Due Bicchieri), or three glasses (Tre Bicchieri). The Grand Tasting showcased over 200 wines of all 3 levels detailed above. 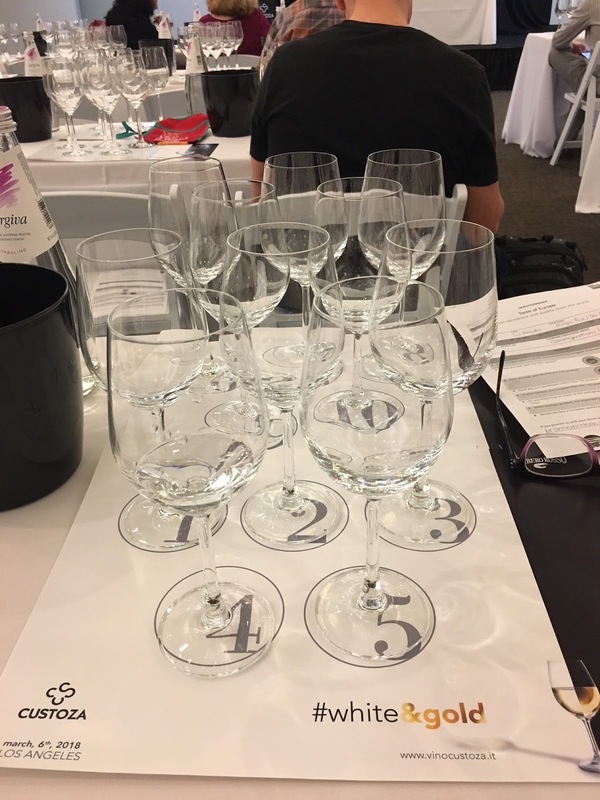 In tandem with the Grand Tasting, they hosted a Custoza Masterclass. I had never heard of this Italian region, so I was excited to learn about it and try some new Italian wines! Bianco di Custoza is a while wine DOC in the Veneto region of NE Italy, just south of Lake Garda. The main grapes in the blend are: Trebbiano Toscano and Garganega (the main grape of Soave), and there are a few others. Both the region and the wine are called Custoza. In this class we tasted 10 Custoza wines of varying styles. Below are my tasting notes. Pale lemon in color with lots of primary notes of citrus, green fruit, stone fruit (white peach), and tropical fruit (pineapple). A very youthful wine that felt like a fruit salad in my mouth. This wine is a bit more complex than the first one. Very mouth-watering with a prominent note of salinity. There was some sort of savory note on the palate that I couldn’t put my finger on. This is a great standalone wine….it does not need food. A lovely wine of quantity (over 250K cases are produced annually). Stainless steel fermentation and then aging in cement tanks with bâttonage, which I can feel on the palate. There is a fullness and a creaminess that comes from that use of bâttonage. This is a very aromatic and balanced wine with a slight perception of RS. This wine has fruit and floral notes in addition to pungent spice (ginger). Overall, medium + flavor intensity. A great, sturdy wine. This wine has depth on the nose and a spicy palate that I love. This wine was fermented in stainless steel with some oak aging. A very aromatic wine. Reminded me a bit of a Riesling on the nose. Much riper fruit than the others we’ve tried. Stone fruit and a perfumed elderflower note. Very high acid masks the RS. This wine has the most interesting nose and a creamy, sherbert-like quality on the palate. No idea what that means in formal wine tasting terms, but that’s what I got! There was a saffron note and an oiliness on the palate. This felt like the most intellectual wine of the bunch. Savory on the nose, including bruised yellow apples. Spicy (especially on the palate) with some funk and a honeyed nose. Slight RS. A wine to enjoy on its own. Bravo! Woah. This wine goes through a serious evolution on the nose. It starts out almost metallic and then moves to a distinct funkiness, almost like peat. Is that possible? A beautiful and interesting palate. Wow. This wine is hard to compare to the others because of its age. I get notes of ruby red grapefruit and saffron. Great fruit and great acid. There were a few key takeaways of this MasterClass. For one, Custoza wines age well. Also, the wines had great length in the glass. The wines are exciting and have so much personality and energy. The tough part is going to be to find them, as much of the production is consumed locally! But keep an eye out for Bianco di Custoza on the label.....sooner or later I hope you find one....you will not be disappointed!